As the workforce becoming more technologically dependent and AI algorithms unleashed into daily service. The computer programming language specifically python will determine the proficiency as well as the professionalism of the medical personnel not so far in the future. The report published by Tesla indicates that on any given day, radiologists at UC San Francisco (UCSF) and across the country view thousands of x-rays. These radiologists, with many years of experience in the medical and research world, have become adept at identifying which images require immediate follow-up or intervention. They can determine, for example, whether the lungs of a trauma patient are collapsed or if there is internal bleeding that requires immediate intervention. But with all of the talk about making healthcare more efficient, the ability of clinicians to read the images and know what they’re seeing isn’t what’s holding back further progress. The challenge is that radiologists only have two eyes and so many hours in a day. The speed at which they can accurately read and evaluate images can only be so fast. While brilliant, they are, in fact, human. And while the images wait, so does the patient. The images sent to them for analysis each day, a large number turn out to be normal. The rest reflects a wide variety of conditions that may require immediate treatment, but those images may be anywhere in the queue, waiting quietly for the radiologist to read them. Not only do the radiologists need to find the needles in the haystack of images, but they need to know where to start looking to minimize any delay in providing important treatment to patients. This “needle in the haystack” problem exists throughout healthcare, whether in identifying high-risk patients in the Emergency Department, a primary care office, or the ICU. Also, identifying which findings are important and which patients are at risk is getting more difficult with the ever-increasing volume of patients and the number and types of tests and images that threaten to overload the system. At GE’s annual Minds and Machines gathering of the Industrial Internet community in San Francisco, Dr Blum touted the combination of the clinical expertise of a major clinical and research institution like UCSF and a global leader in medical software and technology like GE Healthcare. “What’s really needed is a much deeper and more accurate understanding of healthcare globally, of what individuals and providers are facing day in and day out in the office, at home, and in the hospital. Artificial intelligent scanning technology using Deep Learning for MRI used in the radiotherapy. Only then can we deploy these advanced technologies to improve patients’ lives and reduce costs,” he said. Enter the algorithms based on data and analytics, including images from patient scans at UCSF, the very images that the radiologists there are reading every day. In the simplest terms, once unleashed, this ‘code in the cloud’ will be focused on reviewing images in a radiologists queue, analyzing them using an ever-growing library of similar images for which a diagnosis is known, and pushing to the front of the queue the images that it recognizes as requiring urgent action. The goal is to enable radiologists to review and recommend treatment faster. As algorithms are trained and the library of available algorithms expands, the associated applications will have the potential to do everything from predicting patient trajectories, to automating the triage of routine care, to improving process efficiency and enabling the development of more personalized therapies. By rapidly delivering information to clinicians about abnormalities, inefficiencies and personalized interventions, algorithms are designed to help providers improve diagnostic accuracy and patient outcomes, as well as improve clinical workflows and productivity. “What is so powerful about combining analytics, deep learning and cloud technology is that the solutions will only get smarter and more scalable over time,” said Charles Koontz, Chief Digital Officer of GE Healthcare. “While this partnership begins here in Silicon Valley, it’s the global users of the algorithms who will disrupt the way care is delivered.” The algorithms will further be used to ensure providers around the world can access new knowledge and insights delivered through deep learning – a method by which machines can rapidly generate new levels of clinical and operational value from large imaging and textual data sets in ways that traditional machine learning methods cannot. “In medical school, physicians learn to use a stethoscope and to read x-rays to help identify what’s happening inside a patient’s body,” says Dr. Blum. “Now we will add technologies including artificial intelligence and machine learning to our arsenal. We are eager to help develop these transformational tools that will help us more accurately and efficiently treat our patients.” This code – the algorithms that will be embodied in applications on the GE Health Cloud and in service of these clinicians – may be what cracks the code to finally turning digital health from hype to realistically helpful. A group of prominent scientists and bioethicists is calling for a global moratorium on any new attempts to bring gene-edited babies into the world. "We call for a global moratorium on all clinical uses of human germline editing — that is, changing heritable DNA (in sperm, eggs or embryos) to make genetically modified children," the 18 scientists and bioethicists from seven countries write in an article published Wednesday by the journal Nature. 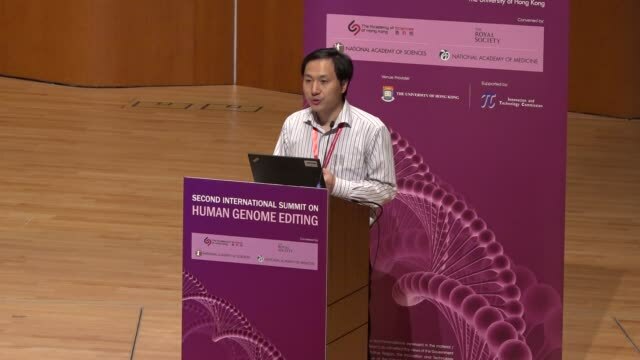 The call was prompted by the announcement last year by a scientist in China, He Jiankui, that he had used the powerful new gene-editing technique CRISPR to create the world's first gene-edited babies. He says he edited the twin girls' DNA when they were embryos to try to protect them from the AIDS virus. The announcement was widely condemned as unethical and irresponsible. It also prompted an intense debate about whether more could have been done to have stopped the scientist — and should be done now to try to prevent any more researchers from going rogue. 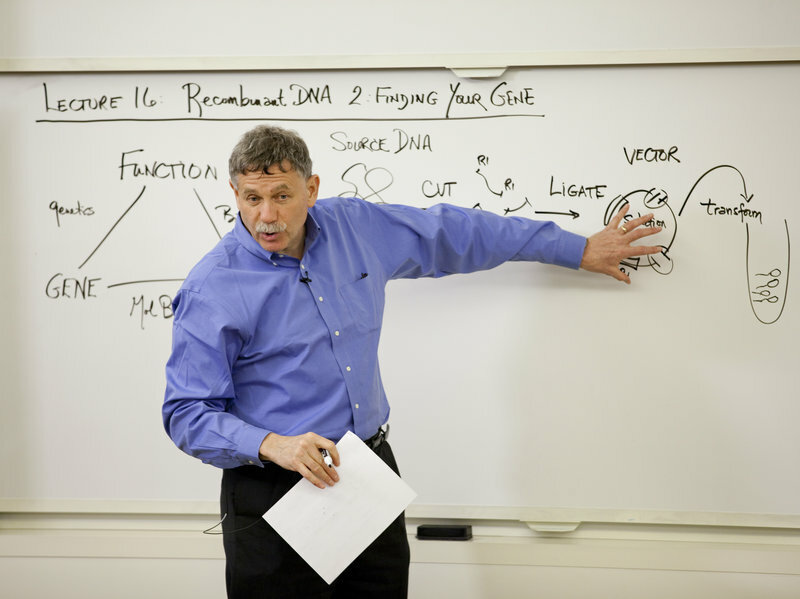 A pioneer in research on the human genome and head of the Broad Institute in Cambridge, Mass., Eric Lander is among 18 prominent scientists and bioethicists from seven countries who are calling for a moratorium on the creation of gene-edited babies. PhotographGetty Images. In response, the new coalition of scientists and bioethicists proposes that every country declare a moratorium, perhaps for five years, on scientists trying to create babies whose DNA has been edited. "We all believe that we shouldn't be going forward," Eric Lander, who heads the Broad Institute at Harvard and MIT, tells Shots "And starting off by saying we should have a moratorium brings an important clarity to the thing." The scientists stress that they are not advocating a "permanent ban" or any restrictions on basic research that could eventually lead to the creation of gene-edited babies in the future. Instead, a global moratorium would allow for the creation of an "international framework" for how best to proceed responsibly. Scientists could continue to do the studies necessary to determine if it might be possible to safely and effectively edit the DNA in human embryos for purposes that might eventually be deemed appropriate, such as preventing genetic disorders for which there are no other options. If that ever happens, the group proposes that the public be given ample advance notice about any proposal to try to create gene-edited babies to allow time for a "robust international discussion about the pros and cons of doing so." The group suggests that period could last two years. "It's such a powerful technology that already people have started proposing ways to 'improve the human genome,' " Lander says. But, he adds, "deciding whether we should be reshaping the human genetic code requires a lot of really careful thought." In the United States, federal law prohibits the creation of gene-edited babies. And about 30 countries have similar prohibitions. But many others do not. The call for a global moratorium is being welcomed by many scientists and bioethicists. "The philosophical and theological consequences of re-writing our own instruction book are sufficiently major that somebody like me — who generally is opposed to the idea of moratoriums — feels that it's time to stop and look very carefully at the pros and cons," Dr. Francis Collins, who directs the National Institutes of Health, tells Shots. Collins co-wrote an article supporting the call. But some scientists and bioethicists, while agreeing it's far too soon for anyone to try to make gene-edited babies, worry about using the word moratorium. "I'm concerned a moratorium complicates future discussions rather than clarifying them," says Dr. George Daley, dean of the Harvard Medical School. "How long should a moratorium last? Who gets to decide how and when to rescind a moratorium? Is such a call going to prompt even more restrictive attempts to legislate the science and prohibit any clinical work?" Daley says. Some fear a moratorium could drive scientists underground. "I don't think we want to drive people into hiding over this," says Jennifer Doudna, a University of California, Berkeley, biochemist who helped develop CRISPR. "Instead, I would like to have a much more open, transparent international conversation. I don't like the word moratorium because it kind of goes against that spirit." But others welcome the call, saying clearer statements by groups like the National Academy of Sciences might have prevented He Jiankui from doing what he did. "Although it would have been a lot better if the call for an explicit moratorium had been proactive rather than reactive, better late than never," Ben Hurlbut, a bioethicist at Arizona State University writes in an email. Some say a moratorium is crucial to prevent scientists from trying to create "designer babies." "This statement is saying, 'Hey. Wait. Stop. This is too important to have small groups of scientists who've taken it upon themselves to be making these decisions for all of humanity,' " says Marcy Darnovsky, who runs the Center for Genetics & Society, a watchdog group. "Allowing reproductive gene-editing would open the door to certain people whose parents were able to afford genetic upgrades being considered superior to everyone else," Darnovsky says. "The last thing we want to do is build a future in which we're creating classes of people who are considered genetic-haves and others who are have-nots." Others agree. "The world must unite to prevent there being a fleet of offshore boats with a little designer-baby logo on them," says Fyodor Urnov, a visiting scholar at the Innovative Genomics Institute at the University of California, Berkeley. "It's not too late to prevent that from happening. And we must." The presidents of the U.S. National Academy of Medicine and National Academy of Sciences, and the Royal Society in Britain, wrote another accompanying article noting that they are working to develop an international consensus on standards that should apply to such research. "We must achieve broad societal consensus before making any decisions, giving the global implications of heritable genome editing," they write. A journal editorial notes that "whether such a moratorium would be effective is one point being actively debated by the research community, national academies and groups such as the World Health Organization." 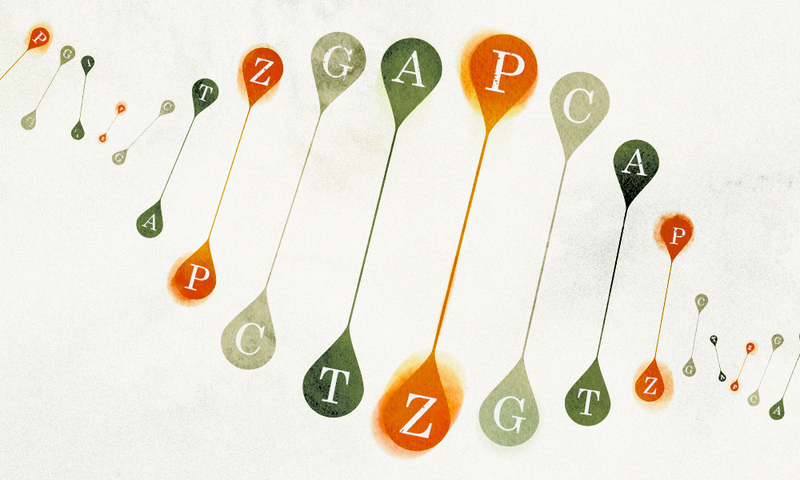 The two new letters added to the code of life are P and Z and fit seamlessly into existing DNA. A four-letter alphabet might seem limited, but it’s all that nature needs to write the instructions for all life forms on the planet. The marvelous news that researchers have added two more letters P and Z to the genetic alphabet has opened the door to new frontiers and possibilities in biotechnology, informatics, and even the exo-microbiology search for extraterrestrial life beyond our planet. DNA is the core foundation of all living things, it's elegantly simple and unique. Each half of the famous double helix structure is built from four small molecules called bases: adenine, thymine, cytosine, and guanine (ATCG). 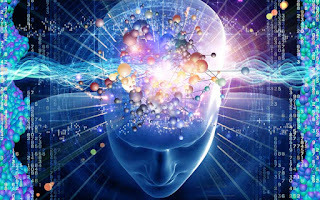 The order in which they appear determines what the DNA codes for, just like a series of zeros and ones at the hearts of computers do. But now scientists at the Foundation for Applied Molecular Evolution in Florida have successfully added four new bases to create what they are calling “hachi-moji DNA” (eight-letter DNA in Japanese), doubling the potential information density of genetic code. This isn’t the first attempt at expanding the genetic code. In 2014, scientists at the Scripps Research Institute in California unveiled DNA with two extra bases, and in 2017 they showed that they could get bacteria to use this code to build proteins that don’t exist in nature. But the new work not only adds an extra two bases, but it also sticks more closely to the blueprint used by nature. The double helix of DNA is held together by hydrogen bonds between complementary bases—A pairs with T and C pairs with G. The Scripps research used water-repelling molecules that stick together but repel the other bases. These bases need to be sandwiched between natural bases, so it’s not possible to have extended stretches of unnatural bases limiting what they can code for. Hachi-moji DNA, however, uses hydrogen bonds just like natural DNA to link its two new pairs—S with B and P with Z—and the bases are also capable of appearing next to each other. Because DNA is read in triplets of bases called codons, each of which codes for a particular amino acid, this significantly increases the number of potential codons compared to the previous approach: 512 compared to conventional DNA’s 64. The experiments also suggest hachi-moji DNA preserves all the key characteristics required to support Darwinian evolution, crucial for supporting life. The bases pair reliably, the structure remains stable regardless of the sequence of bases, and they’ve demonstrated that it can be copied into RNA. That’s crucial, because while DNA holds the blueprints for an organism, in order for cells to do anything with that information it has to be converted into the mobile, single-stranded molecule RNA, which can act as instructions for protein factories called ribosomes or can help regulate genes. In terms of potential uses for the new letters, the possibilities are broad. All of nature’s complexity has been created from the 20 amino acids conventional DNA can produce (multiple codons code for the same amino acid). New codons make it possible to code for new amino acids with novel properties, which could enable everything from more powerful medicines and industrial catalysts to more outlandish ideas, like electrically-conducting proteins. That will require a huge amount of work on tools that can take advantage of the new code, though, the scientists behind the research admitted to Wired. A potentially nearer-term goal might be to take advantage of the extra information density to boost efforts to see DNA as a super-compact and stable form of long-term data storage. Perhaps the biggest contribution of the research is the window it gives us into the potential forms life could take. The new code is a long way from supporting self-sustaining organisms—the researchers have yet to demonstrate that the code can be replicated by cells, and it is reliant on supplies of lab-created building blocks that aren’t available in nature. But the fact that you can replicate the form and function of DNA with very different constituent parts suggests that life beyond Earth may be unlike anything we have seen before. The research was funded by NASA, and representatives told CNN that they hope it will help them expand the scope of their search for extraterrestrial life. The climate change is just the tip of the iceberg and the fate of forests may soon depend on genetically engineered techniques to perfect them. As compared to gene-edited babies in China and ambitious projects to rescue woolly mammoths from extinction, biotech trees might sound pretty tame. But it's the next step to release genetically engineered trees into the natural ecosystems to counter the environmental threats. 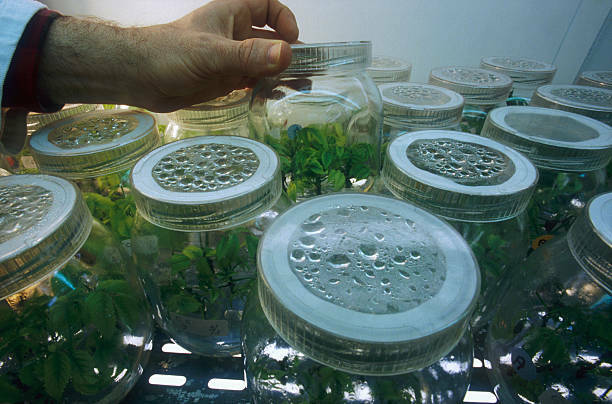 The ''Green Biotech'' sector represents a new frontier in biotechnology. Even as the techniques of molecular biology have advanced, humans have not yet released genetically engineered plant with adaptive traits that are intended to spread independently and persist in an unmanaged environment. Biotech trees — genetically engineered or gene-edited — offer just that possibility. One thing is clear: The threats facing our forests are many, and the health of these ecosystems is getting worse. A 2012 assessment by the US Forest Service estimated that nearly seven percent of forests nationwide are in danger of losing at least a quarter of their tree vegetation by 2027. This estimate may not sound too worrisome, but it is 40 percent higher than the previous estimate made just six years earlier. In 2018, at the request of several US federal agencies, the US Endowment for Forestry and Communities, the National Academies of Sciences, Engineering, and Medicine formed a committee to “examine the potential use of biotechnology to mitigate threats to forest tree health.” Experts, including me, a social scientist focused on emerging biotechnologies, were asked to “identify the ecological, ethical, and social implications of deploying biotechnology in forests, and develop a research agenda to address knowledge gaps.” Our committee members came from universities, federal agencies, and NGOs and represented a range of disciplines: molecular biology, economics, forest ecology, law, tree breeding, ethics, population genetics, and sociology. All of these perspectives were important for considering the many aspects and challenges of using biotechnology to improve forest health. Climate change is just the tip of the iceberg. Forests face higher temperatures and droughts and more pests. As goods and people move around the globe, even more, insects and pathogens hitchhike into our forests. We focused on four case studies to illustrate the breadth of forest threats. The emerald ash borer arrived from Asia and causes severe mortality in five species of ash trees. First detected on US soil in 2002, it had spread to 31 states as of May 2018. Whitebark pine, a keystone and foundational species in high elevations of the US and Canada, is under attack by the native mountain pine beetle and an introduced fungus. Over half of whitebark pine in the northern US and Canada have died. Poplar trees are important to riparian ecosystems as well as for the forest products industry. A native fungal pathogen, Septoria musiva, has begun moving west, attacking natural populations of black cottonwood in Pacific Northwest forests and intensively cultivated hybrid poplar in Ontario. And the infamous chestnut blight, a fungus accidentally introduced from Asia to North America in the late 1800s, wiped out billions of American chestnut trees. Can biotech come to the rescue? Should it? Although there are many potential applications of biotechnology in forests, such as genetically engineering insect pests to suppress their populations, we focused specifically on biotech trees that could resist pests and pathogens. 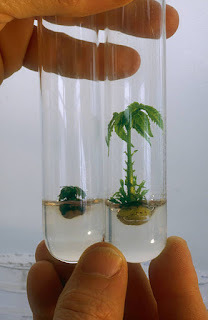 Through genetic engineering, for example, researchers could insert genes, from a similar or unrelated species, that help a tree tolerate or fight an insect or fungus. It’s tempting to assume that the buzz and enthusiasm for gene editing will guarantee quick, easy, and cheap solutions to these problems. But making a biotech tree will not be easy. Trees are large and long-lived, which means that research to test the durability and stability of an introduced trait will be expensive and take decades or longer. 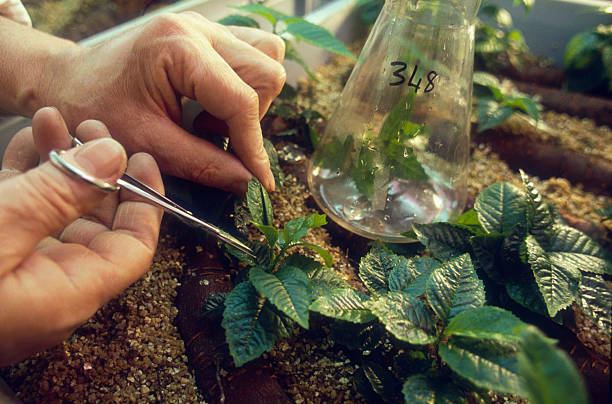 Biotechnology researches and inspection of genetically engineered plants in a specimen at Institut National de la Recherche Agronomique (INRA) in Paris, Frace Photo: Pierre Vauthey. We also don’t know nearly as much about the complex and enormous genomes of trees, compared to lab favorites such as fruit flies and the mustard plant, Arabidopsis. In addition, because trees need to survive over time and adapt to changing environments, it is essential to preserve and incorporate their existing genetic diversity into any “new” tree. Through evolutionary processes, tree populations already have many important adaptations to varied threats, and losing those could be disastrous. So even the fanciest biotech tree will ultimately depend on a thoughtful and deliberate breeding program to ensure long-term survival. For these reasons, the National Academies of Sciences, Engineering, and Medicine committee recommend increasing investment not just in biotechnology research, but also in tree breeding, forest ecology, and population genetics. The committee found that the US Coordinated Framework for the Regulation of Biotechnology, which distributes federal oversight of biotechnology products among agencies such as EPA, USDA, and FDA, is not fully prepared to consider the introduction of a biotech tree to improve forest health. Most obviously, regulators have always required containment of pollen and seeds during biotech field trials to avoid the escape of genetic material. For example, the biotech chestnut was not allowed to flower to ensure that transgenic pollen wouldn’t blow across the landscape during field trials. But if biotech trees are intended to spread their new traits, via seeds and pollen, to introduce pest resistance across landscapes, then studies of wild reproduction will be necessary. These are not currently allowed until a biotech tree is fully regulated. Another shortcoming of the current framework is that some biotech trees may not require any special review at all. The USDA, for example, was asked to consider a loblolly pine that was genetically engineered for greater wood density. But because USDA’s regulatory authority stems from its oversight of plant pest risks, it decided that it did not have any regulatory authority over that biotech tree. Similar questions remain regarding organisms whose genes are edited using new tools such as CRISPR. The committee noted that US regulations fail to promote a comprehensive consideration of forest health. Although the National Environmental Policy Act sometimes helps, some risks many potential benefits. This is the case for biotech trees as well as other tools to counter pests and pathogens, such as tree breeding, pesticides, and site management practices. The National Academies of Sciences, Engineering, and Medicine report suggest an “ecosystem services” framework for considering the various ways that trees and forests provide value to humans. These range from the extraction of forest products to the use of forests for recreation to the ecological services a forest provides — water purification, species protection, and carbon storage. The committee also acknowledged that some ways of valuing the forest do not fit into the ecosystem services framework. For example, if forests are seen by some to have “intrinsic value,” then they have value in and of themselves, apart from the way humans value them and perhaps implying a kind of moral obligation to protect and respect them. Issues of “wildness” and “naturalness” also surface. Paradoxically, a biotech tree could increase and decrease wildness. If wildness depends upon a lack of human intervention, then a biotech tree will reduce the wildness of a forest. But perhaps so would a conventionally bred hybrid tree that was deliberately introduced into an ecosystem. Which would reduce wildness more — the introduction of a biotech tree or the eradication of an important tree species? There are no right or wrong answers to these questions, but they remind us of the complexity of decisions to use technology to enhance “nature.” This complexity points to a key recommendation of the National Academies of Sciences, Engineering, and Medicine report: dialogue among experts, stakeholders, and communities about how to value forests, assess the risks and potential benefits of biotech and understand complex public responses to any potential interventions, including those involving biotechnology. These processes need to be respectful, deliberative, transparent, and inclusive. Such processes, such as a 2018 stakeholder workshop on the biotech chestnut, will not erase conflict or even guarantee consensus, but they have the potential to create insight and understanding that can feed into democratic decisions that are informed by expert knowledge and public values. The Fulbright Foreign Student Program enables graduate students, young professionals, and artists, from abroad to study and conduct research in the United States at U.S. universities or other academic institutions. All Foreign Student Program applications are processed by bi-national Fulbright Commissions/Foundations or U.S. Embassies. Therefore, foreign students must apply through the Fulbright Commission/Foundation or U.S. Embassy in their home countries. Deadline varies per country but is around February to October. It is important to visit the official website (link found below) and the country specific websites for detailed information on how to apply for this scholarship. The University of Glasgow is one of the leading public research university in Glasgow, Scotland. 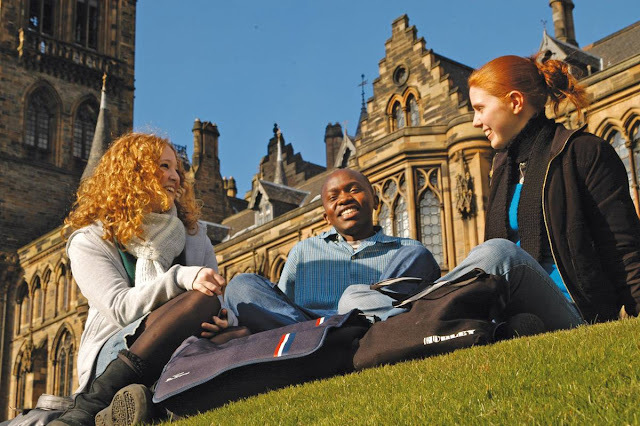 The University of Glasgow has 20 International Leadership Scholarships available to international (non-EU) students starting a postgraduate taught Masters program in any discipline that offered by the institution. be classed as International students for fee purposes. Afghanistan; Albania;Algeria; Andorra; Angola; Antigua; Barbuda; Argentina; Armenia; Azerbaijan; Bahamas; Bahrain; Bangladesh; Barbados; Belarus; Belize; Benin; Bhutan; Bolivia; Bosnia and Herzegovina; Botswana; Brazil; Brunei; Burkina Faso; Burundi; Cambodia; Cameroon; Cape Verde; Central African Republic; Chad; Chile; Colombia; Comoros; Congo; Congo Democratic Republic; Costa Rica; Cote d'Ivoire; Cuba; Djibouti; Dominica; Dominican Republic; East Timor; Ecuador; Egypt; El Salvador; Equatorial Guinea; Eritrea; Ethiopia; Fiji; Gabon; Gambia; Georgia; Ghana; Grenada; Guatemala; Guinea Bissau; Guyana; Haiti; Honduras; Hong Kong; India; Indonesia; Iran; Iraq; Jamaica; Jordan; Kazakhstan; Kenya; Kiribati; North Korea; South Kosovo; Kuwait; Kyrgystan; Laos; Lebanon; Lesotho; Liberia; Libya; Liechtenstein; Macedonia; Madagascar; Malawi; Malaysia; Maldives; Mali; Marshall Islands; Mauritania; Mauritius; Mexico; Micronesia; Moldova; Monaco; Mongolia; Montenegro; Morocco; Mozambique; Myanmar (Burma); Namibia; Nauru; Nepal; Nicaragua; Niger; Nigeria; Oman; Pakistan ;Palau; Palestine; Panama; Papua New Guinea; Paraguay; Peru; Philippines; Rwanda; Samoa Sa Marino; Sao Tome and Principe; Senegal; Serbia; Seychelles; Sierra Leone; Solomon Islands; Somalia; South Africa; South Sudan; Sri Lanka; St Kitts and Nevis St Lucia; St Vincent and the Grenadines; Sudan; Suriname; Swaziland ;Syria; Tajikistan; Tanzania; Thailand; Togo; Tonga; Trinidad and Tobago; Tunisia ;Turkmenistan; Tuvalu ;Uganda; Ukraine; Uruguay; Uzbekistan;Vanuatu; Vatican City; Venezuela; Vietnam; Yemen; Zambia and Zimbabwe. Scholarship Value £10,000 and Number of scholarships 20. How to apply Applicants holding offers will be automatically assessed for the scholarship based on academic merit. Applicants who are being considered for the scholarship will be notified within six weeks of receiving an offer. There is no separate application form required. APPLY NOW! Scholarship programs for National University of Singapore and University of Dundee in UK. Tuition Fee: £19,950 per year for non-EU students and £1,820 per year for EU students. Are you a high school student interested in biology or life sciences? Are you passionate about medicine, biotechnology or genetic sciences? This bachelor’s degree in Biological & Biomedical Sciences might be right for you! You could earn a joint degree from two of the world’s best-known universities in the field. The University of Dundee is one of the leading universities in Europe for research and Life Sciences. Dundee is widely recognized as indicators of scientific excellence. The world ranking University in Biological Sciences on 5th place in the UK, 8th in Europe. 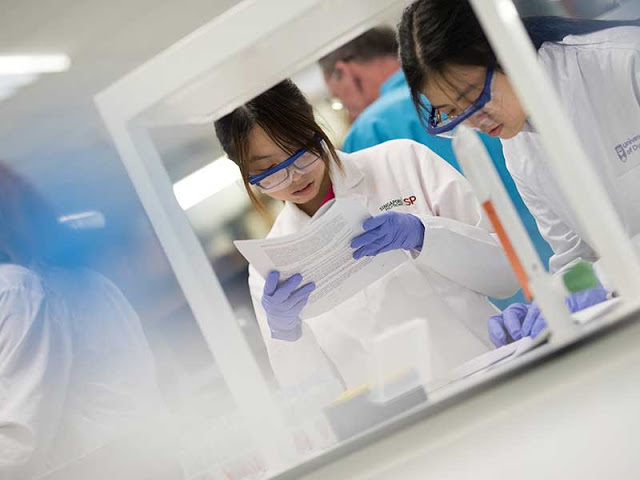 This year’s ‘The State of Innovation’ report by Clarivate Analytics ranks Dundee as the most influential scientific research institution in the world for pharmaceuticals since 2016. The School enjoys a reputation as one of the most dynamic international centres for molecular cell biology, with outstanding laboratory and technology facilities. The National University of Singapore aspires to be a vital community of academics, researchers, staff, international students and alumni working together in a spirit of innovation and enterprise for a better world. It mostly focus on talent development which perceived as the cornerstone of a truly great university that is dedicated to quality education, influential research and visionary enterprise, in providing technical innovations to the global community. This is an open opportunity to gain skills in cutting-edge biological theory, practical and techniques at the University of Dundee, in the UK. While you studying at Dundee, in the final 18 months, you can travel to Singapore and pick up invaluable international experience. Bonus: If your interest has met the criteria on the program, you’ll have the chance to earn a scholarship worth up to £5,000 for each year of study! You will graduate with an appreciation of different cultures and an understanding of the global aspects of life sciences research and application. From day one, you will be enrolled at both the University of Dundee and the National University of Singapore. This means you can start collaborating and sharing experiences with your Singaporean counterparts and get access to the services of each university. Develop your talent in Biological and Biomedical Sciences in the UK and Singapore! Apply Now! at the official website. 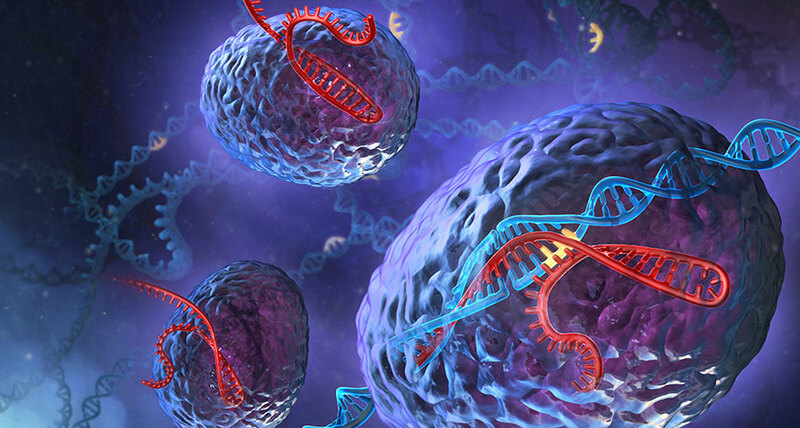 CRISPR is a part of DNA sequences found within the genomes.The technologies allow genetic material to be modified readily like adding, cutting or altered at any particular loci in the genome. 1 Longevity Research: A researcher David Sinclair, says we’re entering “one of the most interesting times in human history.” He’s referring to breakthroughs he expects in his own line of work. But it’s true in many other fields as well. Gene editing, Food innovation, and Synthetic biology dramatically poised to reshape our concept of what it means to be human. Yet technological progress alone isn’t enough. Gene editing CRISPR, the technology is about to make big strides in medicines even scientific community have paused other focus in order to review better its ethical implications. It’s time to get real about CRISPR demanded, Feng Zhang a Chinese-American biochemist a professor in Neuroscience at Massachusetts Institute of Technology (MIT) “There are really exciting advances in three areas. The first area is CRISPR-based medicine. Some clinical trials are already underway and drug developers are now testing CRISPR in the context of blood diseases, like sickle cell, and also testing it in the eye to treat blindness. There is also work that’s moving quite quickly to apply CRISPR in cancer treatments. “The second area is turning CRISPR into a robust diagnostic tool for infectious diseases like Ebola, or any sort of epidemic virus, and also advancing its application in the future for diagnosing bacterial infections or maybe even cancer. “And the third area is the ability of gene editing to improve agriculture. Making farming more efficient, being able to increase the crop yield, and being able to increase the nutritional properties of agricultural produce to be able to vastly improve human health. And you know, CRISPR-based diagnostics could be used for food safety as well — being able to see if a certain food is contaminated by certain bacteria. 3. Food Innovation: Mike Lee, founder of The Future Market “The two defining moments [in food tech in 2018] have really big implications for 2019. For one, Tyson Ventures made an investment in a company in Jerusalem called Future Meat Technologies. Tyson has a stranglehold on the traditional protein market, so it was a big signal in terms of them looking more diversely at what protein means, and looking at cellular agriculture as this viable thing of the future. I think it’ll be interesting in 2019 to see how many other Big Protein players follow suit. “The other thing is [officials in] the United States said that they would not regulate CRISPR-edited crops. There are obviously still questions about how to label it — that’s still up for debate — but the regulatory burden of introducing a CRISPR food product in the United States has become way easier. Simultaneously, Europe went the other way. They consider CRISPR to be under typical rules for genetically modified products, which are pretty stringent. I think what’s going to happen is the investment is going to move beyond the United States in a more aggressive way, and this will really going to shift the wind of innovation. For example, Calyxt has their gene-edited soybean that doesn’t produce trans fats. That’s supposed to come on the market in 2019. 4. 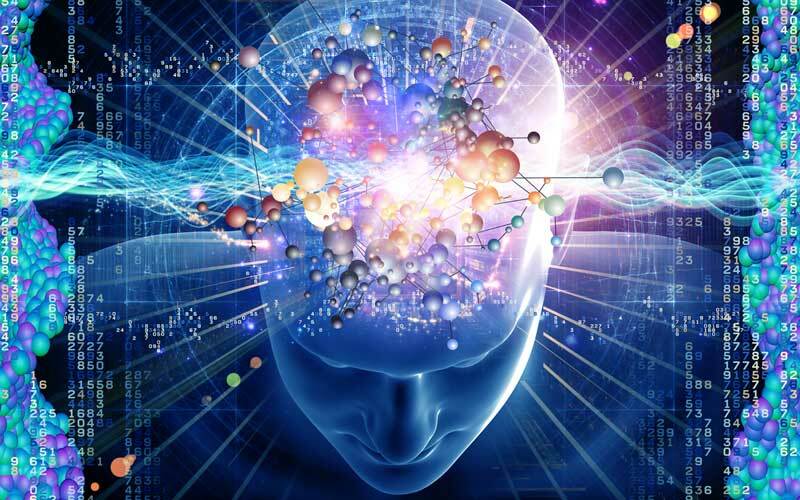 Neuroscience: Why Technology should get into people’s heads? Bolu Ajiboye, an assistant professor of biomedical engineering at Case Western Reserve University. Brain-computer interfaces (BCIs) use brain signals, analyze them, and translate them into commands that relayed to output devices needed to carry out desired actions. BCIs do not use normal neuromuscular output pathways. The main goal of BCI is to replace or restore useful function to people disabled by neuromuscular disorders such as amyotrophic lateral sclerosis, cerebral palsy, stroke, or spinal cord injury. So the work that’s gone on in the last year or so has focused on giving back, particularly to people with spinal cord injury, the ability to get other types of sensory feedback like pressure, temperature, texture, or proprioception. The neural network is very much in its infancy and it’s going to be really exciting to watch it progress. “One milestone that’s on the horizon is a fully implanted BCI system. The goal is to have it be invisible like a pacemaker. Almost everything that [the BCI field has] done so far is very lab-based, and we’re now working on making devices fully implantable so that we can begin to think about it even at-home use, or for someone to use their device 24/7 without being tethered to a computer, or without an expert controlling the device. 5. Aging Problems: David Sinclair, director of Harvard’s Center for the Biology of Aging “[In my lab] we’ve been working on the molecule NAD. We published in Cell in March that by raising NAD levels we could rapidly reverse many aspects of aging in mice. [We gave] old mice the ability to run like young mice again and actually out-compete young mice. That was happening because there was improved blood flow throughout the animal. The molecule that we used is called NMN. We put that in the water supply, and after just a week we saw an increase in endurance. 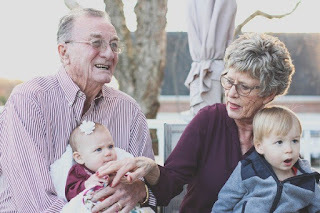 We’re excited about this breakthrough because it shows that we understand why we lose blood flow as we get older, and why we get tired and feel frail. But it also shows that we have a very quick way of reversing that. You could imagine people who are tired, wheelchair-bound, or even bedridden, having energy to get out and exercise again.” “Next year we’ll hopefully be reporting on a project that we started 10 years ago. We are looking at reprogramming cells to make them young again. We think we found an underlying cause of aging, and we’re able to dial that forwards and to some extent backwards. “I think the public doesn’t realize how advanced this technology is and how many investors and companies are also involved. It believed that the 2019 is a watershed year for this field. Just so many things are converging. The science, the business side, the clinical trials reporting out, and the general interest from the public — all of that means that in a year from now, we may find ourselves in one of the most interesting times in human history. It always takes a long time to get a lab result to humans, usually at least a decade, but it’s coming now. There’s really no question.” David Sinclair concluded. Canada is considered as a wealthy, high-tech society and industrialized country with an exceptional standard of living. With more than 35 million people and over 100 various cultures represented, Canada is a dynamic and exciting place to study, live and work. In this increasingly interconnected world, we know how invaluable global experiences are to the student's education. Each year, many international students go abroad for an exotic studies or gain work experience. You can too! Here you will find information, resources and opportunities to get you started on your global adventure. Humber offers partial renewable tuition scholarships for NEW international undergraduate students beginning classes in September 2019. Seven (7) $5,000 scholarship and two (2) $3,000 scholarships are available in September 2019 while three (3) $5,000 scholarships and one $3,000 scholarships will be available in January 2020. The scholarships will be applied toward the successful students’ tuition fees. The scholarships are renewable but the student must maintain a minimum average of 75% in order to be eligible for renewal. You must first apply for admissions before you can apply for the scholarship. The scholarship application form will be included in your acceptance package. Deadline is 17 May 2019 for the September 2019 intake and 27 September 2019 for January 2020 intake. It is important to visit the official website (link found below) for detailed information on how to apply for this scholarship. At official Scholarship Website to grab the opportunity. Your International Career Journey Begins Here..